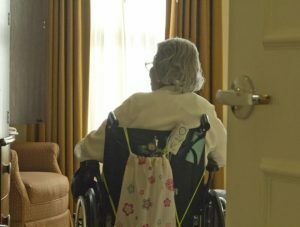 A recent government audit revealed more than 1 in 4 cases of possible sexual and physical abuse of nursing home patients was never reported to police. The inspector general’s office for the Department of Health and Human Services largely placed the blame on Medicare for failing to enforce a federal law requiring immediate notification of authorities, including law enforcement and state health departments. The inspector general released an “Early Alert” on the matter, which is part of a larger ongoing investigation into nursing home abuse and neglect. Florida was among the states included in the large sampling of cases. Given the Florida Health Care Association’s report that the population of those over 65 will double by 2026 and that 69 percent of those are anticipated to need some type of long-term care, this is not an issue we can afford to ignore. While the number of nursing home residents continues to climb – it’s currently at 1.4 million – issues with quality of care are ongoing. And even though there is an increasing awareness about the potential dangers, serious violations of patients’ rights continue. Part of it has to do with the rise of for-profit nursing homes – specifically those that are chains. A 2011 analysis by the University of California at San Francisco revealed that 10 nursing home chains operate more than 2,000 nursing homes nationally, and they control 13 percent of the nursing home beds. These facilities keep labor costs at a minimum (to increase profits) and therefore don’t prioritize quality of care. One study by researchers at Marshall University revealed that staffing levels at for-profit nursing homes, compared to non-profit facilities, are sorely lacking. Staffing levels are considered to be a key indicator of quality of care. For-profit facilities, which had the sickest residents, had 30 percent lower nursing hours (for both registered nurses and licensed practical nurses) than their not-for-profit counterparts. The newest government audit highlights how vast this problem really is. Although low staffing hours are more associated with neglect, they can be a risk factor for nursing home abuse in West Palm Beach. Fewer people providing care means fewer eyes on the patient, which means less supervision and more of an opportunity for mistreatment – and less of a chance it will be reported. In this recent audit, government researchers discovered 134 cases wherein emergency department records showed possible neglect or physical or sexual abuse over the course of a two-year period. Within those, 28 percent were never reported to law enforcement – even though failure to do so “immediately” (within either two hours or 24 hours, depending on the severity of injuries) has the potential to result in up to $300,000 in fines against the nursing home. This immediate reporting requirement has been a law for more than five years now, and it’s Medicare’s job to enforce it, the inspector general’s office said. One example of a case not reported to police was an elderly, disabled woman who was rushed to the emergency room after an alleged sexual assault by a male resident. However, nursing home staff bathed her before taking her to the hospital – destroying key physical evidence – and then never reporting the incident to police. It wasn’t until the woman’s family learned of the incident that police were called by family members. Approximately 4 out of 5 cases that went unreported involved sexual abuse. In addition to the possibility of a federal fine, nursing homes that fail to protect patients and fail to report and act on such incidents can be held liable for damages in civil court.